KINGSTON, Jamaica, Sporting Alert — Day 4 of the Jamaica High School Boys and Girls Champs 2017 gets going from the National Stadium in Kingston and live streaming will be on Hitz 92fm on Friday. Friday’s action begins at 8:30 am local time, 9:30 am ET with the class 2 boys triple jump qualifying round. Some 24 finals are slated to be contested on Day 4 at Champs 2017, including the 100m finals for all classes for both boys and girls. Champs 2017 pre-meet favourites Kingston College (KC) have soared ahead in the race for the boys’ teams title. KC finished Day 3 with a commanding lead — heading into the fourth day of competition with 74 points after seven finals, which is 38 more than defending champions Calabar (36pts). Jamaica College (JC) 32; Petersfield 31; and St Jago 27 round out the Top 5 on the boys’ side. Defending champion Edwin Allen jumped ahead on the girls’ side, following a strong scoring third day on Thursday. After six contested finals, Edwin Aĺlen went to bed on 40 points, seven more than second place Hydel (33), while Excelsior (30), St Jago (27) and Holmwood (26) completed the Top 5. One of the highlights on Friday night’s Day 4 at Champs 2017, is set to come from the class 1 boys’ 100m, which sees KC star sprinter Jhevaughn Matherson hoping to complete the first part of his sprint double quest. 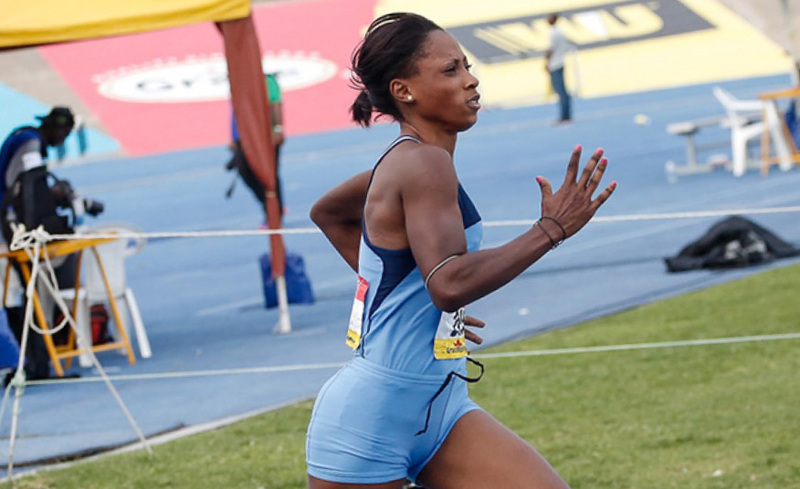 The class 3 girls’ 100m final is also another must see, which sees Edwin Allen’s Kevona Davis looking to light up the National Stadium.